Have you recently moved into a new house? Or maybe you will be moving soon and are looking for some tips to get set up quickly. It’s great when you can feel settled right away and not like you are in a strange and unknown place. In this article, we present 5 of our favorite ways to make your new house a home! First thing is first. Get your bed put together asap. Make your bedroom comfortable, because you will likely be ready for a nap after a long day moving. And with your house in disarray, you will want a place to sit, lay down, or take some refuge from the chaos. To make it really feel like home, go the extra mile and set the room up with scented candles you love, music you like and put the book you’re reading by the bed. You might want to first focus on the things you use every day. Set up your closet, load the dresser and get your toiletries put away. Getting your day-to-day items put away, in their permanent spots, will make you feel as if you are in your own place… even if your nightstand is made out of a cardboard box. There is no better way to feel at home, then by making a home-cooked meal. Even if all you want to do is order pizza for the first week, spend some time setting up your kitchen and stocking the pantry. Don’t rush and just throw everything in the cupboards. Take an organized approach, putting things away in places that make sense. You will love to be able to make a leisurely meal after working so hard to set up your house. And once you wash your dishes in your own sink, you will know you’re home! One of your first priorities should be getting your kids settled. Moving is a huge transition for anyone, but it is especially hard on young ones. Make them feel at home right away by making their rooms the priority. Set up their beds, toys and play areas. Make them feel involved in the process by letting them decide how their room will be set up. Making the transition easy on them, will in turn help to make it easy on you. After you have these initial things set-up, go from room to room making everything perfect. Focus on one area and go from there. Don’t stop until you are unpacked and completely set up, even if you are only able to work on it for a few minutes a day. And if you find you have items that are still in boxes months later, you might want to consider donating them. There is no sense in bringing clutter into your new house! This is a new home, but it is also a fresh start in the way you live! 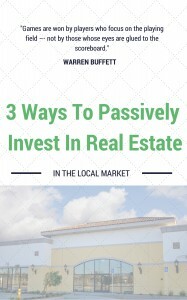 Tips and Tricks for New Real Estate Investors In Charleston! College Planning Using Real Estate in Charleston? Learn How To Do It!